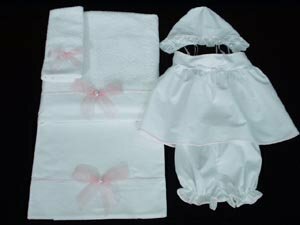 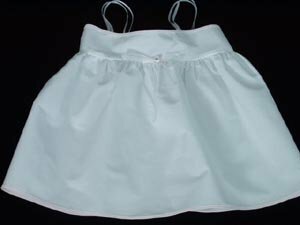 This set includes a decorated oil sheet and towel, trimmed hand towel, girl�s undershirt, bloomers and hat. 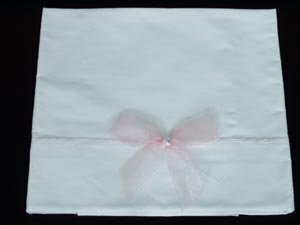 The sheet, towel and camisole top are decorated with sheer pink bows with rhinestone accents. 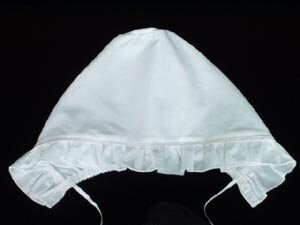 These finely made pieces will be a lasting keepsake for any child's baptism.